The PBA bullet is a precision nonlead hunting pellet with truer flight longer skirt and greater penetration. 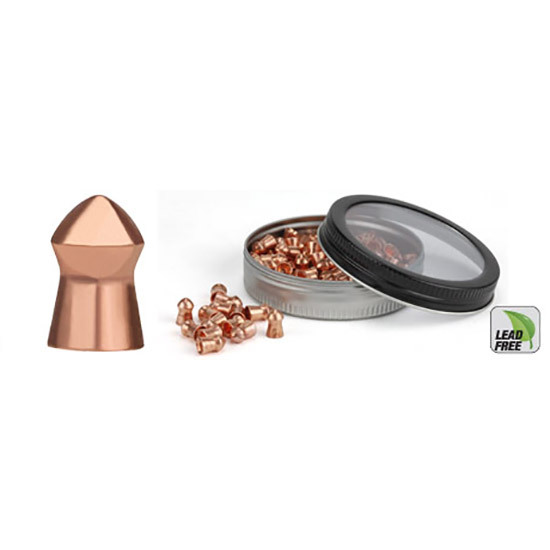 Copper retains 100 of its weight after expansion retaining velocityenergy and creating less ballistic drag. The shape and long skirt create a flatter trajectory and tighter group patterns. The PBA Bullet produces 30 more terminal impact.